Any ecommerce store thrives on higher visibility and exposure on as wide number of channels as possible. One of the biggest online marketplaces, Sears can allow you to make more sales and raise your profits significantly. 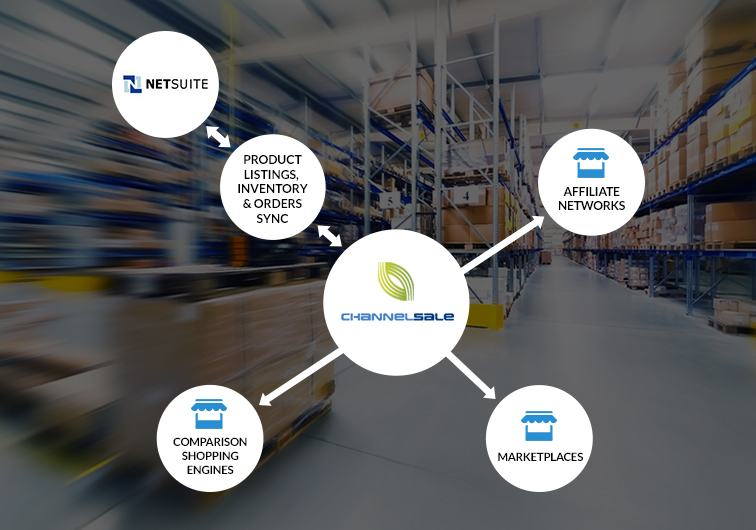 At ChannelSale, we can help you with the best Netsuite Sears Integration services. We use only the latest software management tools such as our advanced Netsuite Sears plugin app and this ensures that the integration is as smooth and error-free as possible. We can determine the key platforms and channels that can take your business to greater heights and exploit them to maximize your sales. We use multiple-channel advertising strategy in order make sure that items from your store are exposed to as many consumers as possible, within the shortest amount of time and across multiple channels. We can assist you with Netsuite Sears real-time inventory management, if you need. How can we be the best option for you? We can associate your store products with the most suitable item categories on Sears, with the use of granular level item category mappings. We use Netsuite Sears connector to ensure a flawless integration and manage the association of Sears with your store’s simple or variation products with parent-child relationships. We can mark up costs for various shopping engines and keep variable costs for Sears and other online marketplaces. We can provide you with Sears automated product listing or shipping and order tracking management services in order to assist you with store management. We can also assist you with product performance analysis, stock synchronization updates or feed optimization. We use Netsuite Sears extension to display all of your store items in accordance with the policies, terms and conditions of Sears. We can help you sell single item or multiple items, whether multi-variational, simple, group items, bundles or kits. We can support items of any colour, size, shape or type. If you would like to get a feel of our services, or know more about how we work, mail us at info@channelsale.com or call us up on +1-866-709-9495 in order to contact one of our Client Service Executives at ChannelSale.